The Plot, Short Version: Young detective dedicates himself to seeking justice for his mother’s murder. Overall Rating – 6/10. Exactly The Percentage of Entertainment Provided. Brief, halfhearted musings ahead… with mild spoilers. 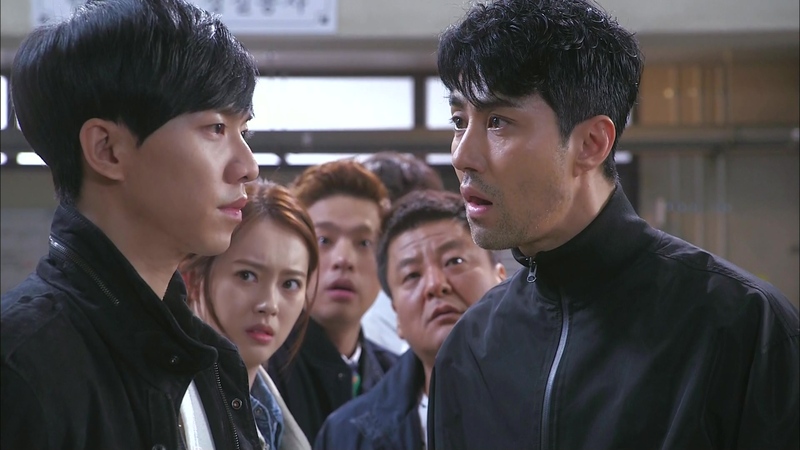 What started as a pretty solid crime show – with intrigue, murder, light romance, mystery, action and more… ended up loosing me around episode 12. I distinctively remember thinking, “I’m glad this is almost over,” only to discover it was 20 episodes long and no where near the end. The problem was I didn’t care Who Did It. The show forgot to make me invested in that story line. It hooked me on the blind revenge for a mother’s death, the big misunderstanding about the mother’s death, and finding and capturing the man who murdered this poor, dead mom. The show did not, however, bother to interest me in the overlying conspiracy behind the mother’s murder. It didn’t even show me what the actual crime was that this mother was going to testify being a witness to! So I didn’t care about what happened outside the mother-bubble. At all. I didn’t care if the entire police force, outside our small motley crew, was corrupt. It could have ended with aliens and I probably still wouldn’t care. Cause the major story lines I was invested in ended around episode 12. So… as I said, I really enjoyed the first half of this show. It wasn’t anything to write home about, sure, but it was solid entertainment. Four rookie cops are conveniently promoted, for no obvious reason, to detectives. They are all young and good looking. Two of them actually know each other, having grown up in the same town and crossed paths in their teen years – and, also conveniently, both were involved indirectly in an unsolved crime. These two will fall in love, as was foretold by the childhood tying of shoelaces. Once a guy kneels down and ties your shoes, you know you’ve got that man’s heart for life. These are the rules of K-world. Anyways, four cute young detectives enter the workforce under the supervision of a wildcard chief investigator, who may or may not be a conspirator to murder. There’s a whole secret identity story line and some random dramatic backstories and more extremely convenient overlapping of character’s pasts. A few crimes are solved. Mistakes are made. Friends are made. Blah blah. The lead male was eh. I like this actor and he did a great job… but his character felt all over the place. For example… sometimes they would have us believe that he has near perfect memory recall, is a genius computer hacker, and talented spy. Yet most of the time these amazing skills were not present. And also… Gag. It’s too much! If you’re going to have a show about a super hero, then that should be the plot of the show. If you’re going to have a show about a kid trying to avenge the death of his mother, fine, be that show… don’t try to add on layers to make it more interesting when what you really should do is work on the script. No one needs to wear more than one hat. Stop piling hats on this kid’s head! He’s got a dead mom to avenge and a secret identity – it was enough! This show also had crazy cop shenanigans. Well, they started the show out this way… with over the top crime fighting that resulted in irresponsible chase scenes, traffic violations, and knocking people over on the street as they ran down the criminals. And their crime was… wait for it… wait for it… holding up traffic. Holding up traffic warranted all that insanity??? Really? It was just two dudes sitting on stools in the middle of the road, which is some gang ritual but I think we can all agree a surprisingly nonviolent one. You’d think those criminals just assassinated Kennedy with all the fuss they made over that chase scene. There was an element of screwball comedy at the beginning that mysteriously vanished shortly after. In a way, I wish they’d stuck with the over-the-top cop nonsense. It was silly, but it was fun. If this fun, silliness had stayed prominent in the show, I wouldn’t have jumped ship. There were also tons of plot holes. The cops got housing accommodations… so you’d think that’s government controlled… but somehow the girl’s housing gets swindled by a con artist and all the ladies end up homeless? What? Aren’t they freakin’ cops? Why wasn’t this… uh… investigated? Sigh. Whatever. It gave our cast an excuse to hang out together at home, which I suppose was the point but come on… come on! 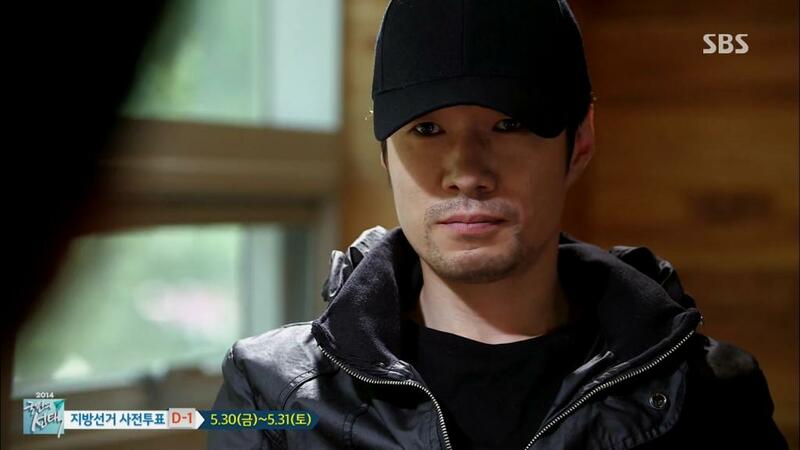 I love the older detective, played by Cha Seung-Won (love him!) though someone needs to feed that man. He seemed really uncomfortably gaunt in this show. His girlfriend was even worse. My old Barbie dolls had huge gaps between their upper thighs because they were made of plastic. I’m sure there is a ton of pressure on these older actors to keep up with the kids – and the kids are all thin as this script. I felt sorry for them… and wanted to give them a bag of Dorritos. Though I don’t know why I feel sorry for them… they’ve probably paid off their student loans already. I suppose carbs aren’t a high price to pay when the return is so substantial. Dorritos or debt? Dorritos or debt? Life is so hard! Cha Seung-Won mourns Dorritos while eating a protein stick. Though the misunderstanding plotline was a little lame and it took about five seconds to realize it was, in fact, just a misunderstanding… I actually liked it. It was cool to see these two tough dudes of different generations battling it out. The steely silent glares of the young rookie versus the flamboyant theatrics of the chief were an awesome contrast. Their fight scenes were intense, too. I loved the young version of her too – and look forward to seeing more of this actress, because she has great charisma… arguably more than the grown version. Oh! And the killer was HOT! I mean… just crazy hot. His voice made me want to lick my television. I think they should have interrogated him more. A lot more. Just let the man speak! I had to stop the drama when he started talking and immediately look up his film history. Song Young-Kyu, I shall be watching more of you soon…. Put your mind at rest. You have the right to abandon this drama. Enjoy it for as long as you can – like I said, it’s an enjoyable show. It just isn’t well constructed. The elements are there, but they forgot to put the pieces together. You’ll have fun and be intrigued but somewhere around the middle you’ll run out of gas… and then you have to decide if you want to actually manually push this car to the finish line or just leave it at the side of the road. I left it. I still don’t know how it ends… so technically, this drama should be put in the graveyard. But who knows… maybe I’ll come back with some gas and give it another go eventually.